It doesn’t matter what kind of gnat is flying around your face, the fact of the matter is, they are annoying flying insects. Many of these tiny flying insects are thought of as “gnats” even though many of them are in actuality, small flies. Fungus gnats, drain flies, and buffalo gnats fit the profile. The common flies that are usually referred to as gnats are phorid flies, sand flies, and the ever annoying fruit flies. Regardless of the name you give them, these annoying little black flies always seem to show up when you least expect them and just a few of these pesky insects can quickly turn into a gnat infestation. You may be wondering how you ended up with a gnat problem in the first place. 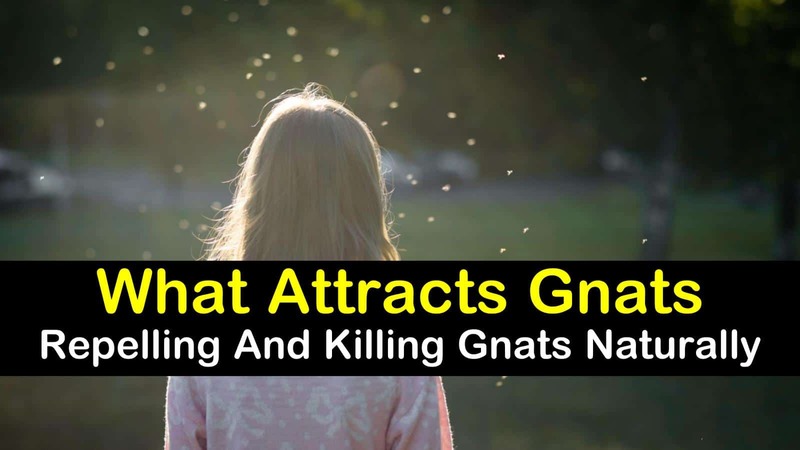 Let’s look at what attracts gnats and find out how to eliminate flies for good. Why Are Gnats Attracted to Me? Why Do I Have Gnats in My House? Are Gnats Attracted to Light? What are the Best Natural Gnat Repellents to Use? If you have a gnat problem inside or outside your home, many things could be bringing them to your house. The majority of gnats and small flies are attracted to scents, especially the smell of fruit and other sweet fragrances, which is why you might find gnats hanging around your flower beds. If you use personal hygiene items, like soaps, perfumes, lotions, and hair sprays that have a sweet scent, this could be one reason why adult gnats tend to swarm you. The smell of your laundry detergent or other additives on your clothes will also bring them toward you. Gnats are also attracted to carbon dioxide, which is why these light brown flies tend to hover around your mouth. Your body heat and moisture also play a significant role in attracting gnats to you. Many of the gnat species and small flies are drawn to body heat, while others are looking for moisture. Along with being drawn to sweat, some of these tiny flies are drawn to the mucous around your eyes and nose, which can be a source of moisture for the pests. If you have gnats in your yard, several things could be attracting them. Fruit trees, flowers, and vegetable gardens all provide a food source and breeding sites in which gnats thrive, as well as other organic material in your yard. If you overwater your plants and lawn, the moist soil not only provides gnats with the moisture they need to thrive, but it can also create molds and fungus where gnat larvae feed. Many of the same items that attract flies and gnats outside your home are also found inside your home. Overripe fruit and vegetables, the moist soil in your potted plants, decaying organic matter in your garbage cans and sink drain, are all things that will bring gnats into your home. Bringing in fresh flowers and indoor plants also appeal to these pesky flying insects. Fungus gnats will live and reproduce in the soil of your houseplants and feed on the plant roots. Even with their short lifecycle of several weeks, they can quickly reproduce, leaving you with a substantial gnat problem. When it comes to the non-biting gnats, like fungus gnats, fruit flies, moth flies, and phorid flies, their attraction to light varies. Adult fungus gnats are strongly attracted to light, which can be used to assist in gnat control, both inside and out. Indoors, fungus gnats can often be found flying around windows, interior lighting, TVs, and doors, while outside they are often found swarming outdoor lighting. If you’re wondering are fruit flies attracted to light? The answer is no. Phorid flies aren’t strongly attracted to light either and male moth flies, are attracted to light, but female moth flies are not. Vinegar is almost irresistible to gnats and can make an effective gnat trap. You can kill fungus gnats and fend off house flies with vinegar and get rid of these pests for good. This simple gnat trap uses household items to kill gnats and is an effective pest control method. The smell of the apple cider vinegar in this fly trap attracts the tiny flying insects into the fruit fly trap, but they can’t escape, leaving them to drown. Pour the vinegar into the small container. Add several drops of dish soap. Cover the opening of the bowl with plastic wrap and pierce the surface of the Saran wrap to create several small holes. Place the fruit fly trap in areas where you have a gnat problem. After a couple of days, dump the vinegar solution with the dead gnats and refill the nat trap with fresh vinegar. If you don’t have any cider vinegar on hand, you can substitute it with red wine. The best natural gnat repellents will contain botanical oils like citronella, cedarwood, garlic, lemongrass, spearmint, cinnamon or lemon mint. You use any of these essential oils diluted with water to spray the areas in your home where gnats are congregating. If you want to keep gnats away from your outdoor living area, consider planting pennyroyal or lavender near places where you and your guests tend to gather. You can also crush the fresh leaves of these plants and rub the leaves over your skin to deter those gnats that bite. Gnats are extremely annoying little pests, but if you know what attracts them, you can make the necessary changes to your yard and home to keep them from invading. If you already have a gnat infestation, take the steps needed to change your environment and use the homemade vinegar trap to attract and kill the gnats in your home. We hope you enjoyed learning about the various things that attract gnats to your yard and home. 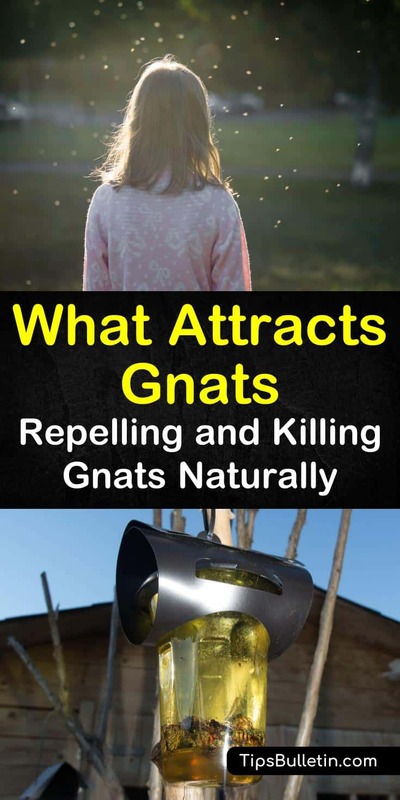 If you found this information on what attracts gnats and flies useful, please feel free to share it with your family and friends.